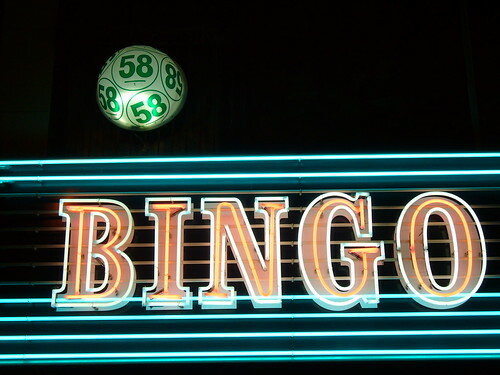 Bingo is a game that has traditionally been played within the community. It used to always draw different people together to one meeting place not only to enjoy a game of bingo, but the bingo hall also acted as a social hub. Today, bingo still does that, even though there are so many more players who now play online bingo as opposed to bingo in a land-based bingo hall or community centre. But there’s still a sense of community amongst the online players on a bingo site and today’s bingo hall is now a bingo chat room. This is where players gather to catch up and exchange opinions on all kinds of subjects – not just bingo. The internet has opened up bingo to so many people who might never have gone to a real bingo hall. There are so many sites where you can sign up to play this simple and amusing game. You can even click here for free bingo games online if you don’t want to play with real money. Many of the free games have prizes attached to them too, so it gives you even more reason to play. If you lose, you’ve lost nothing and you’ve had the fun of playing, if you win, it’s even better! You’ll spend the rest of the day on a bingo high! For some people, playing at home in the comfort of their own living room is a good idea on so many levels. You save the need to spend money on travelling to a bingo game, you don’t need to spend on drinks and food while you’re playing and you can play at any time that suits you, rather than waiting for the opening times of a bingo hall. Online bingo sites are always open and there’s always a game about to start when you login. And there are certain character types who obviously aren’t meant to spend time in bingo halls, where courtesy and respect are called for at all times. Security guard Austin Whaley discovered the hard way how you should keep quiet in a real bingo hall. He shouted out bingo as a joke during a game and upset the regulars in the bingo hall in Covington, Kentucky, by doing so. The game was delayed while the false ‘bingo’ called was checked and the other players were furious with Whaley for disrupting their game. As Whaley refused to apologise, a police officer charged him with second-degree disorderly conduct and when his case came to court in March this year, the judge barred him from uttering the word ‘bingo’ for six months. Whaley is a great example of a person who would be better off playing bingo online, where you can shout and holler bingo as often as you like and it won’t affect the game for anyone else! But it seems that it’s not only teens like Whaley who’ve been tempted to misbehave in a bingo hall. In February 2013, in Portsmouth, New Hampshire, two ladies were seen pushing and shoving each other at a seniors’ bingo game over the fact that one of them was trying to sell Avon beauty products during the game, and in doing so, she disrupted the game. The police were called to separate the ladies, but had to return to the bingo hall two hours later as another player wanted to press charges. So as you can see, bingo halls can be locations that are ripe for scenes of tension. Maybe people with fiery tempers are better off playing online where they can’t be upset by anyone or upset others! This entry was posted on Friday, June 28th, 2013 at 10:16 am and is filed under Uncategorized. You can follow any responses to this entry through the RSS 2.0 feed. You can leave a response, or trackback from your own site. Bingo Bugle: Check us out! © 2019 BINGO BUGLE. All Rights Reserved.